Welcome to Table Talk Math. This week, we're talking big numbers and open questions. As we made our way around the Phoenix airport during a layover, it was a good time to fill up our water bottles. 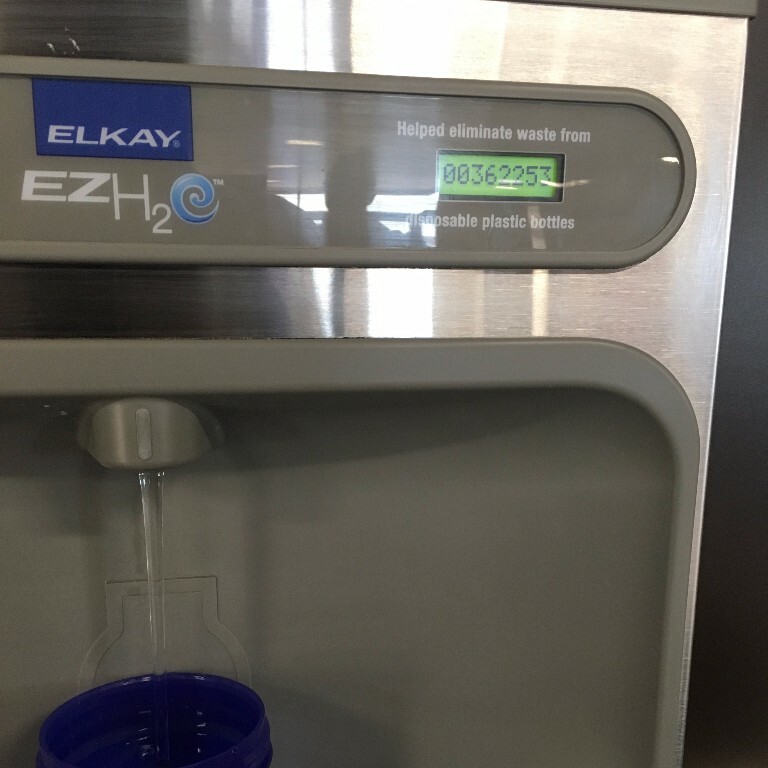 In airports around the country are these filling stations that come with a "helped eliminate waste from ___ disposable plastic bottles" and it just makes you feel good to fill up! My six year-old son thought it was cool, but he was very perplexed by the numbers in the top right. 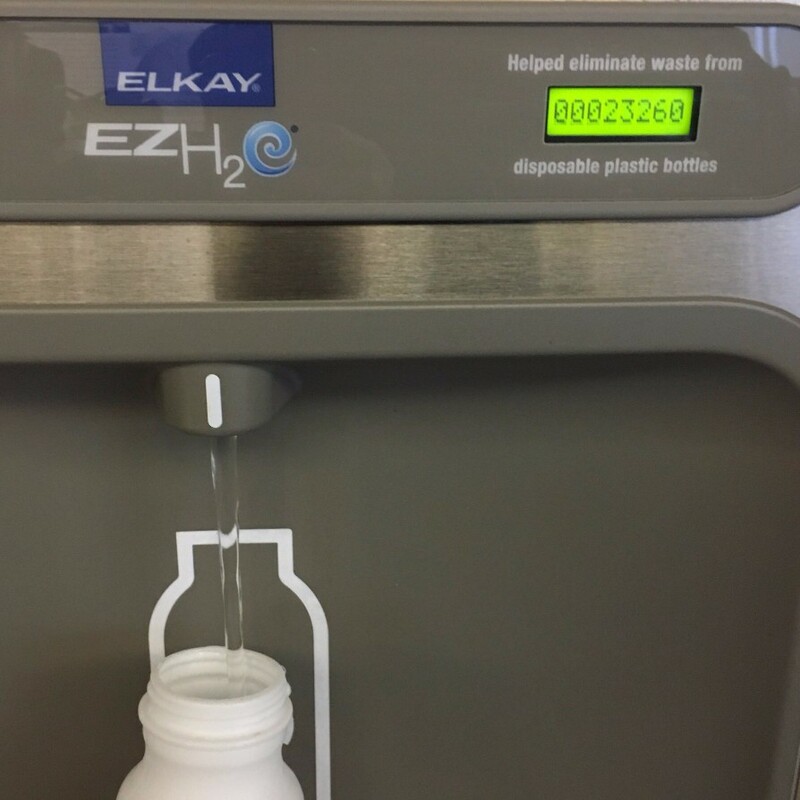 The first fill-up station saved 23,260 bottles and the second saved 362,253 bottles. "Wow, daddy, three six two two five three?! That is wayyyy bigger than the first one we saw!" "It sure is, buddy. So what questions do you have?" "Why is this one so much more?" "How do you say this number?" "Are plastic bottles really that bad for us?" All of these are worth diving into. All of these are worth exploring. And, because we had the time, all of these got answered. He's only six, but we talked about place value because it mattered in this context. I asked him why he thought one was more than the other, leading him to a possible solution that the picture on the left was right next to the bathroom. "Oh, so when people are done going potty, they can just fill up their water bottle!" I would love to hear from you! What picture (or situation) can you put in front of your child to elicit questions? Remember to avoid giving an answer; instead, ask a question that might start a conversation.